An AECB initiative providing the tools and knowledge to create low-energy buildings in line with existing and future legislation covering both domestic and non-domestic buildings. Available to all AECB members, the CarbonLite programme is a practical step-by-step guide aimed at all those practitioners involved in the design, construction and use of low-energy, low-CO₂ emissions buildings. The Programme is designed to be clear, informative and impartial, and outlines the reasons behind the need for more sustainable building practices, as well as providing wide-ranging yet detailed guidance on the ways in which this change is best achieved. Through its unique combination of research materials, technical data, training programmes, discussion forums and useful links and contacts, the CarbonLite programme represents an essential resource in the building sector’s drive towards low-carbon living and the legislation that will regulate it. This online training course concentrates on developing a good understanding of issues related to heat and moisture in buildings to help retrofitters avoid and/or manage any unintended consequences arising from the repair, insulation, draught proofing and ventilation of existing UK buildings. It is aimed at construction professionals and those whose role involves decision making around retrofit. 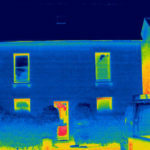 Homeowners with a desire to drive their own retrofit projects will also find this course useful. While only the more technically minded will be interested in all the detail, there is much useful knowledge even for those who are less technical. Passivhaus Designer qualification is an internationally accredited scheme linked back to the Passivhaus Institut in Germany. The AECB Carbonlite Passivhaus Designer course will prepare you for sitting the exam and also for future involvement in low energy building projects. 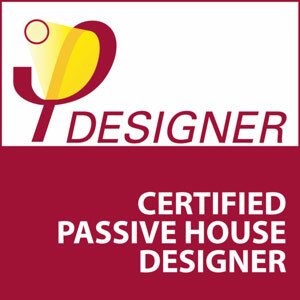 On successful completion of the exam delegates are listed on the Passivhaus Designer database where they will be awarded either Passivhaus Designer or Passivhaus Consultant status, depending on existing academic qualifications. The Passivhaus Bitesize course aims to explain the general principles of what makes a good low energy, comfortable building, based on the Passivhaus standard. 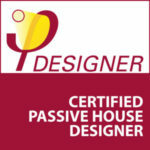 This course follows a different format to the Certified Passivhaus Designer course, and it is only a short introduction to Passivhaus. The courses run in the afternoons over 4 weeks, please note that timings are different in Bristol and London.